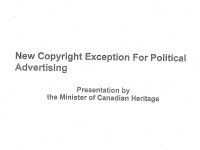 Post Tagged with: "free speech"
Last night I posted on reports that the Canadian government is considering a new copyright exception for political advertising. While many have been harshly critical of the plans, I’ve noted that political speech is critically important and that copyright law should not be used to stifle it. My post argues that the law may already cover some of the uses and that if changes are needed, a better approach would be to adopt a fair use provision in Canada. I have now obtained a copy of the document that was presented by the Minister of Canadian Heritage. The document is obviously consistent with the media reports, but provides significantly more detail and raises several additional questions and concerns. 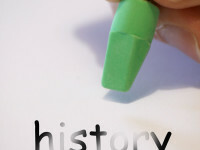 In the aftermath of the European Court of Justice “right to be forgotten” decision, many asked whether a similar ruling could arise in Canada. While a privacy-related ruling has yet to hit Canada, last week the Supreme Court of British Columbia relied in part on the decision in issuing an unprecedented order requiring Google to remove websites from its global index. The ruling in Equustek Solutions Inc. v. Jack is unusual since its reach extends far beyond Canada. Rather than ordering the company to remove certain links from the search results available through Google.ca, the order intentionally targets the entire database, requiring the company to ensure that no one, anywhere in the world, can see the search results. Note that this differs from the European right to be forgotten ruling, which is limited to Europe. the injunction would compel Google to take steps in California or the state in which its search engine is controlled, and would not therefore direct that steps be taken around the world. That the effect of the injunction could reach beyond one state is a separate issue. 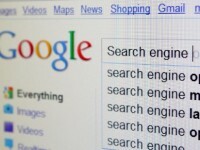 The European Court of Justice shook up the privacy and Internet world last week by ruling that European data protection law includes a right to be forgotten with respect to search engine results that are “inadequate, irrelevant or no longer relevant.” As a result of the decision, search companies such as Google will be required to remove results from its index that meet this standard upon request. My weekly technology law column (Toronto Star version, homepage version) notes that as people flock to remove content from the Google search index – reports indicate that the company began receiving removal requests within hours of the ruling – there remains considerable uncertainty about how to implement the decision, whether it will migrate to Canada, and if a new right to be forgotten will serve the cause of privacy protection or harm free speech and access to information.